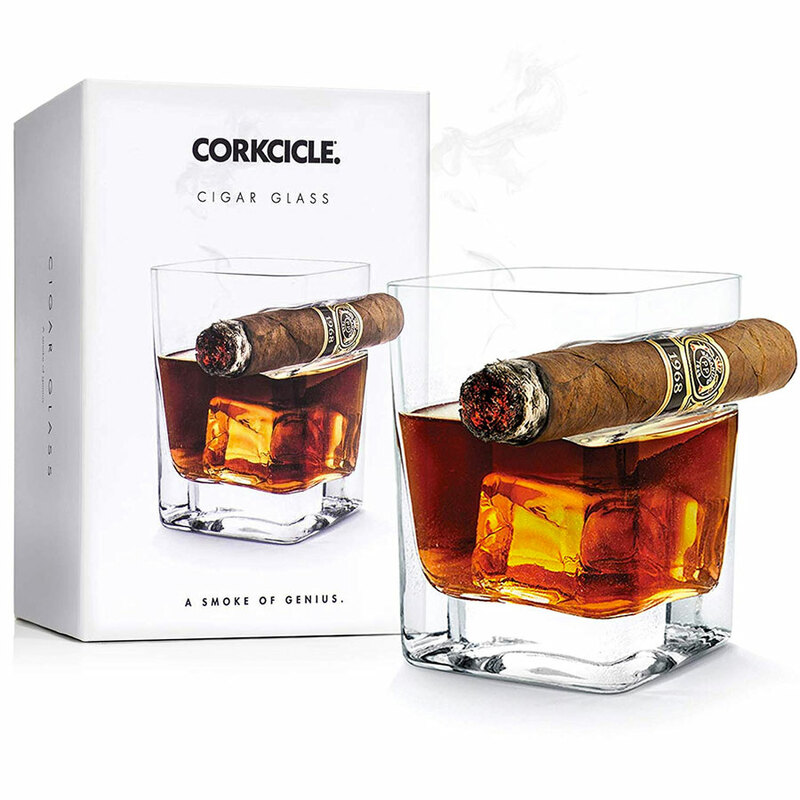 Corkcicle's take on the booze glass with built-in cigar holder goes old-fashioned. 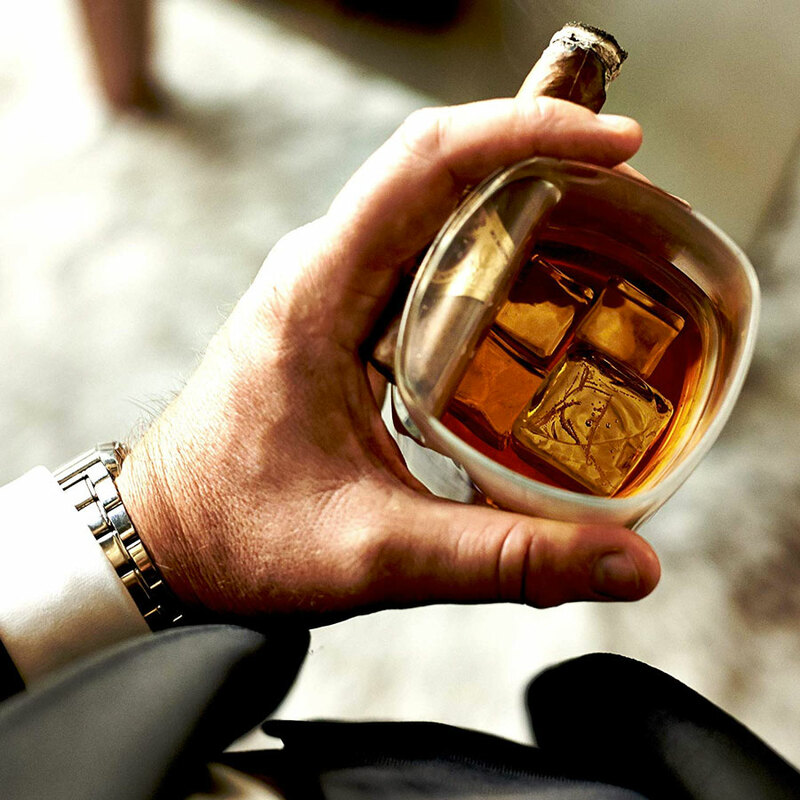 Double old-fashioned, to be exact. 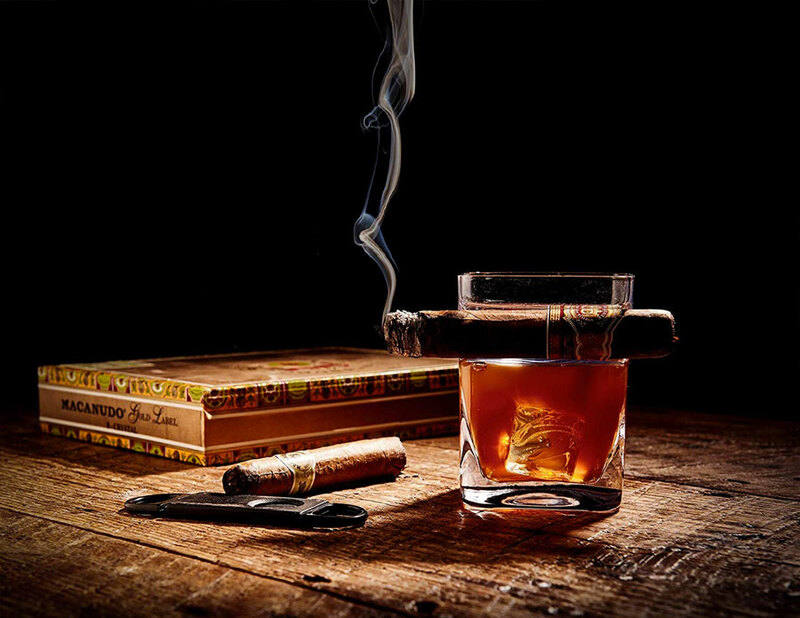 The tumbler is a thick-bottomed double old-fashioned whiskey glass with a cutout midway up one side you can use as a cigar rest. 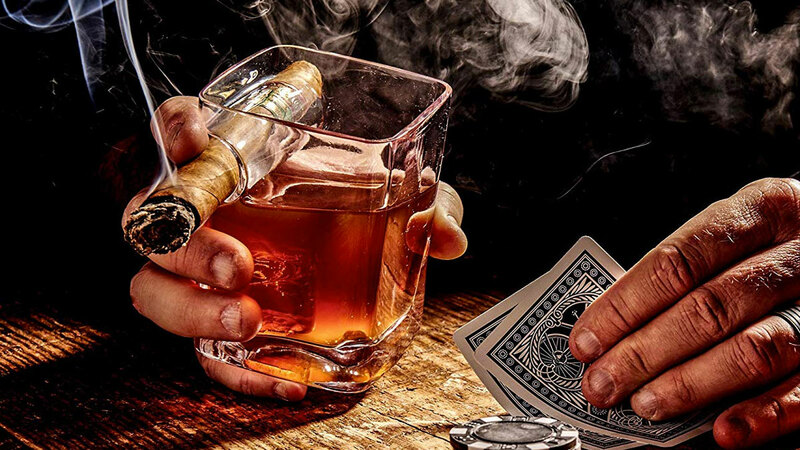 What a great holiday gift for someone with both a drinking and a smoking problem! And, if Corkcicle's photo shoot is any indication, a gambling problem too!